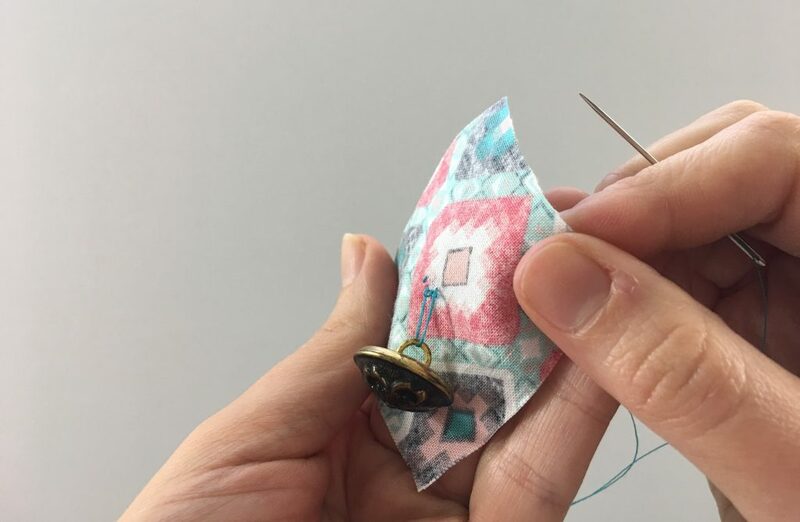 Learning how to sew a button can be a valuable skill that you’ll put to use quite a few times over the course of your life. 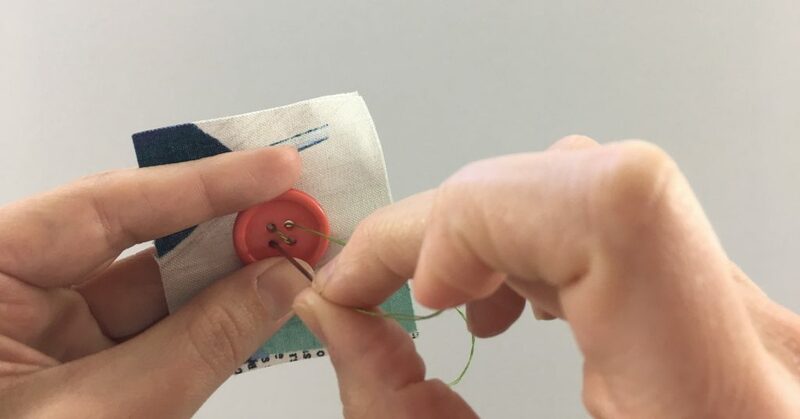 If your button comes off your favorite shirt, jeans, or jacket then you can take a few minutes and sew it back on. You’ll save both time and money from having to buy a new piece of clothing. 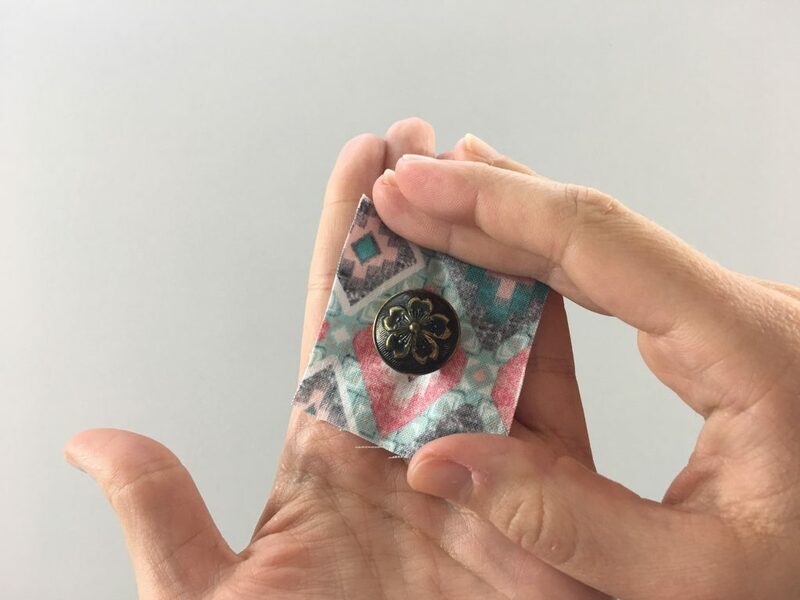 If you’re a sewist, you’ll need to sew on buttons for apparel, bag, and other types of projects. Sometimes these buttons are just decorative accents and other times you’re using them for closures for your project. 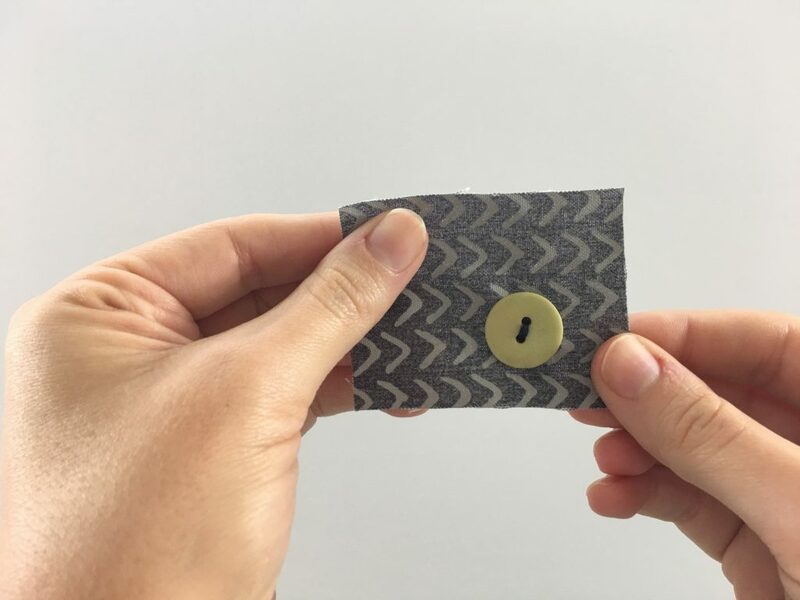 There are two basic types of buttons, flat buttons with either two or four holes, and shank buttons which have a loop sticking out from the back of the button. 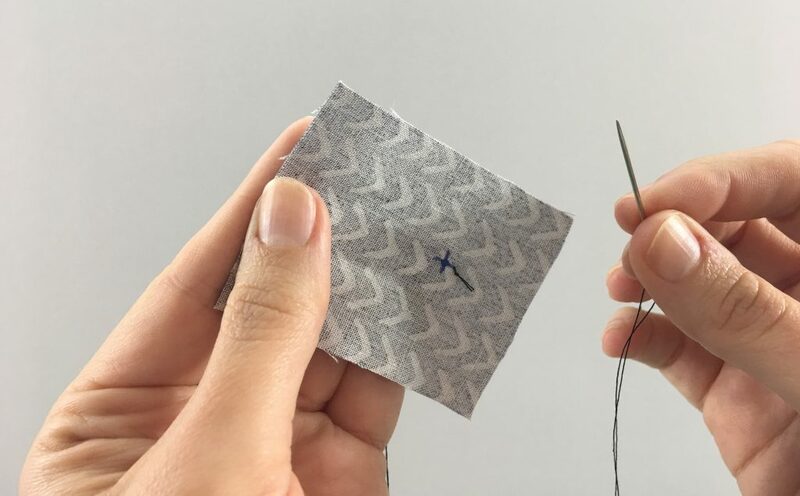 They’re sewed on a bit differently but they’re both easy and will only take you about five minutes. The most used type of button are flat buttons and they have either two holes or four holes. 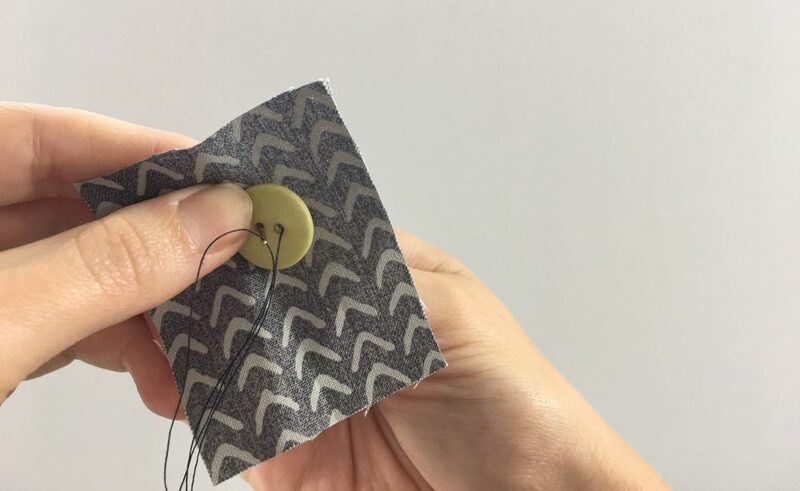 Here’s how to sew a button using a two-hole flat button. If you haven’t yet, thread your needle and tie a knot at the end. 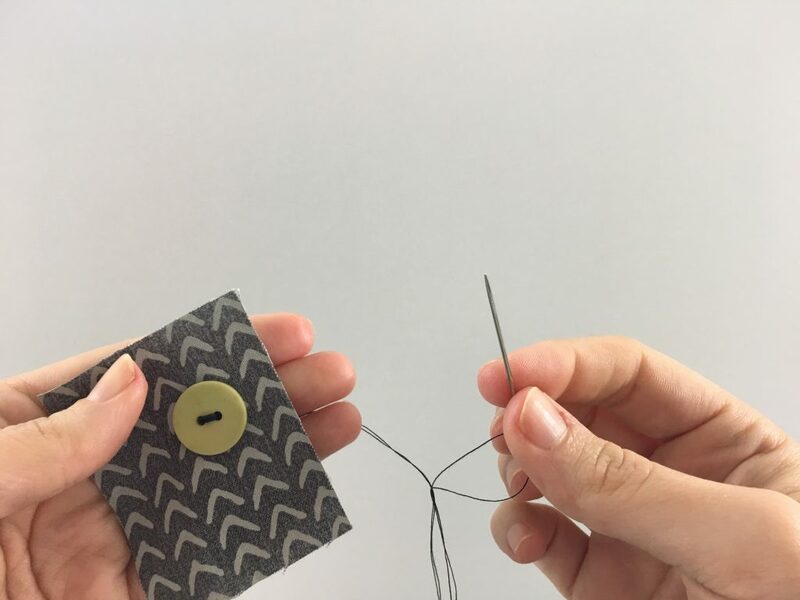 If you are reattaching a button to a piece of clothing, make sure that your button and thread matches. I’m using a very colorful combination here so it’s easier to see. If you’d like, use a marking tool to mark where you’d like the button to be with a small x. You can also just eye ball it. If you’re reattaching a button, you’ll want to get it as close as possible to where the button, or missing button, originally was. 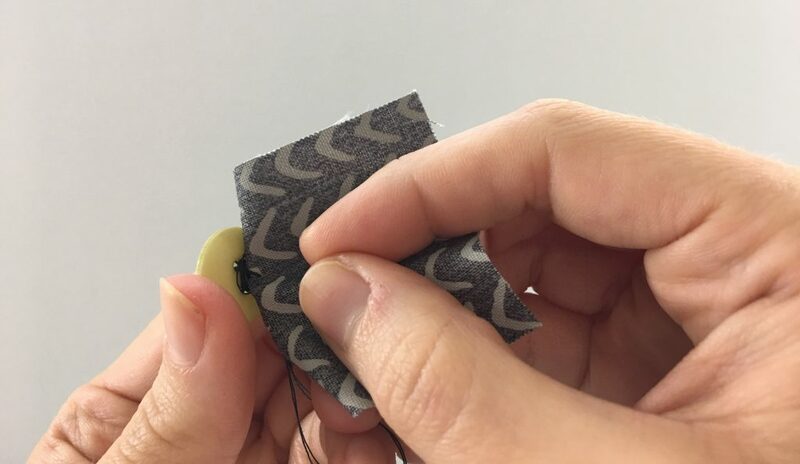 Now we’re going to get the thread secured to the fabric so the button doesn’t fall off. To do this, insert your threaded needle into one edge of your X. 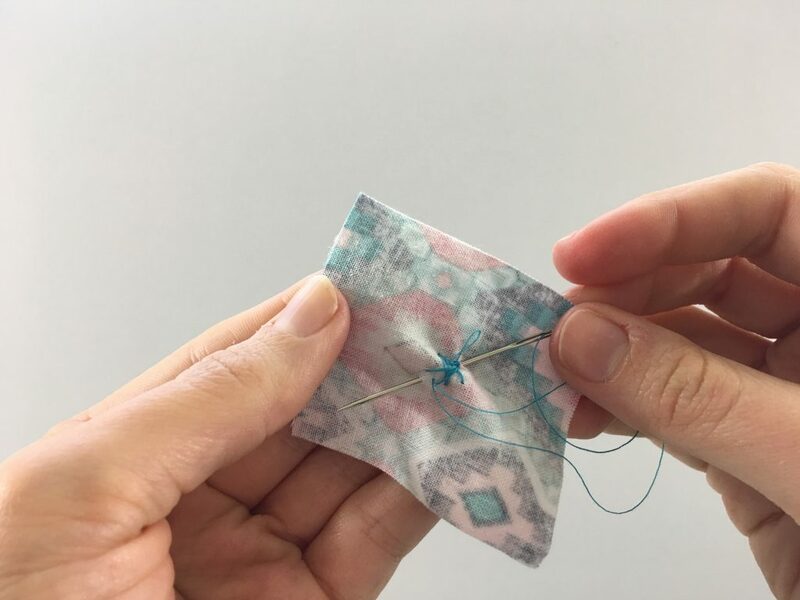 Pull your needle all the way through so your knot is on the underside of the fabric until it stops. There’s no reason to pull tight, just make sure all your thread comes up with you. 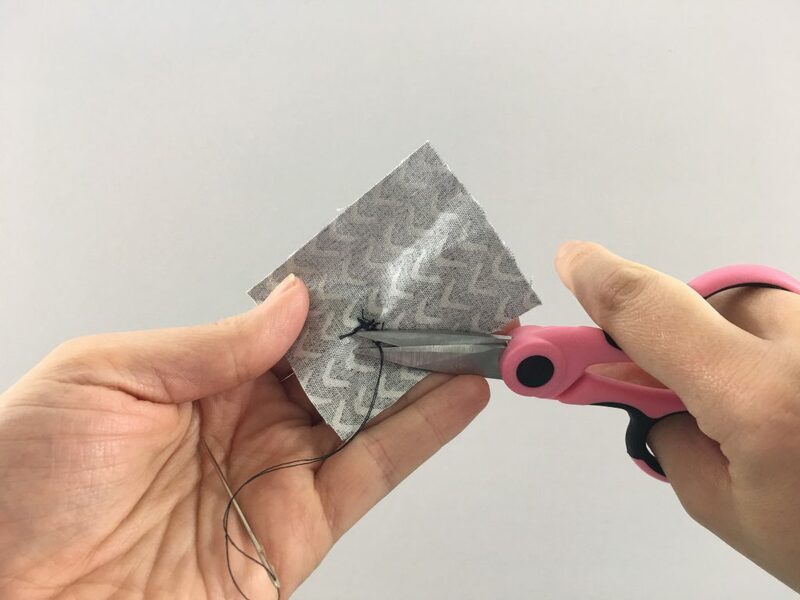 Bring your needle up from the front side of the fabric to another edge of your X. Pull to bring the thread all the way through to the backside of the fabric. 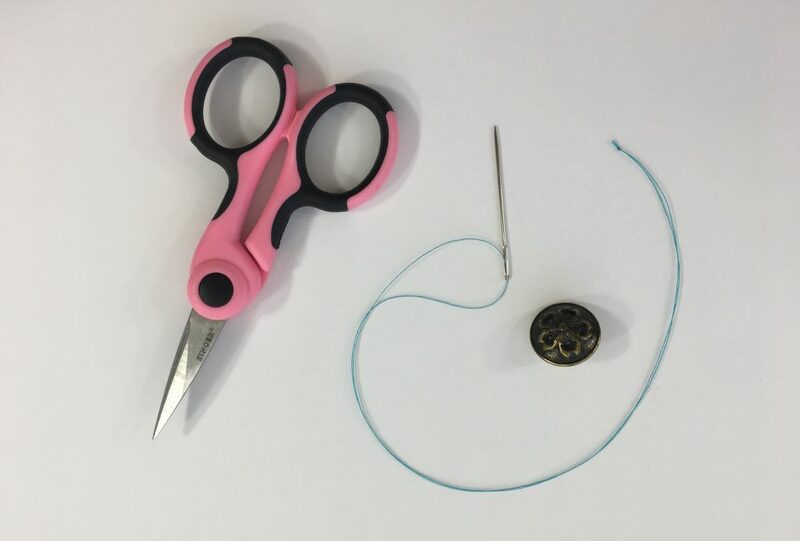 Insert the needle near where your knot is but not in the same hole. Pull that thread back into the front side of the fabric. 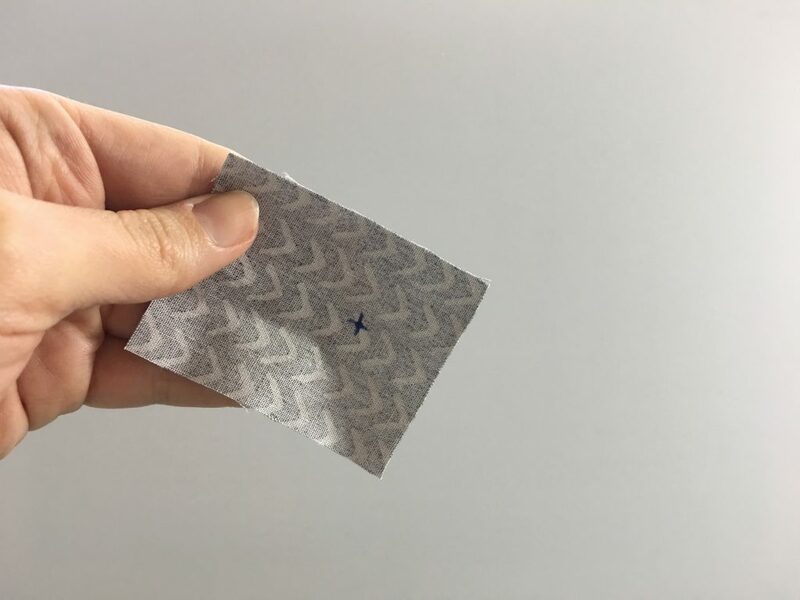 Keep making stitches in the same way so you now have an X made out of fabric. 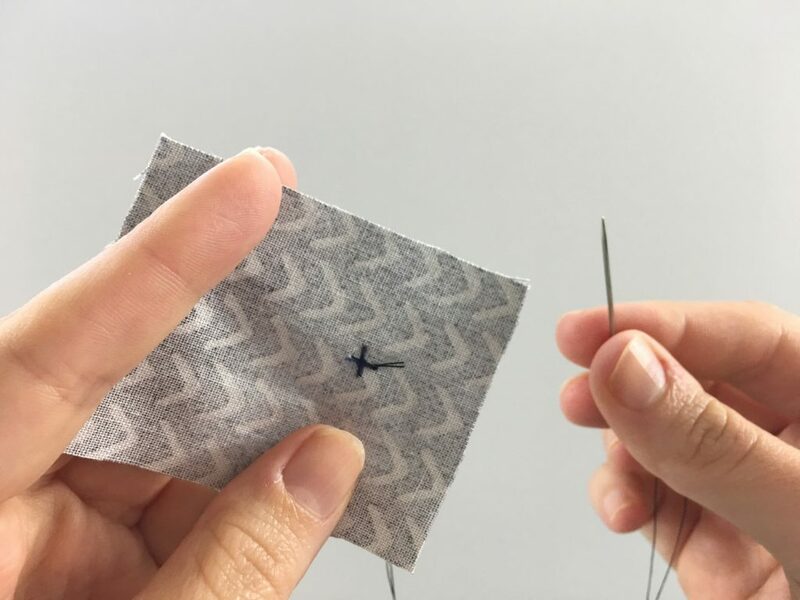 Your threaded needle should now be coming out of the back of your fabric. 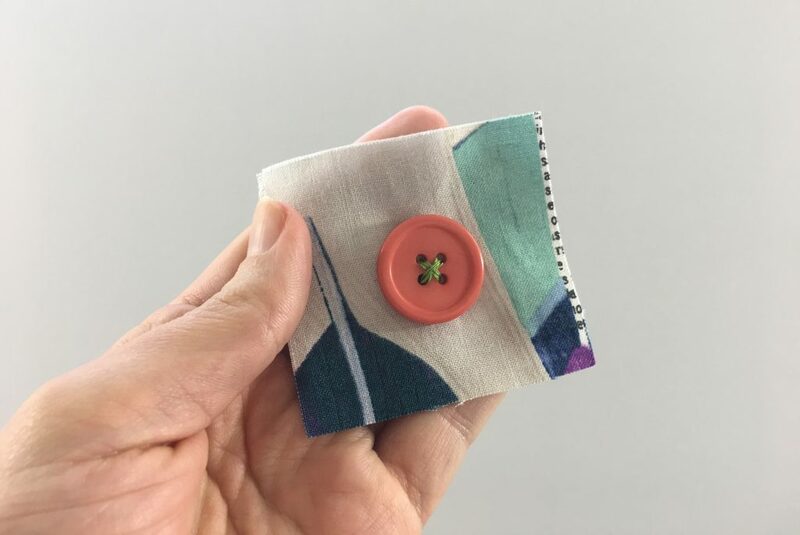 Place your button on the front side of the fabric. 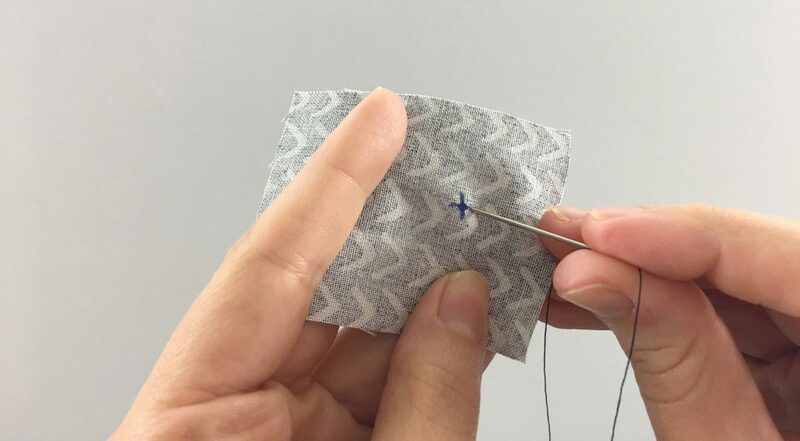 Insert the needle from the back of the fabric into one of the button holes. You can start in either button hole, it doesn’t matter. Pull the needle and thread up through the hole. Insert the needle into the other button hole. Pull the thread all the way back through the back. You should now have a line of thread going from one hole to the next. 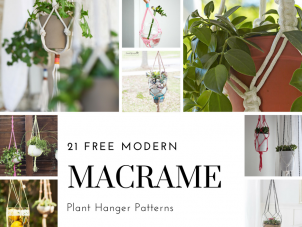 Repeat this stitch as many times as you like. I like to go back and forth about five times. Too few times and your button could come off and too many times and it will look bulky. 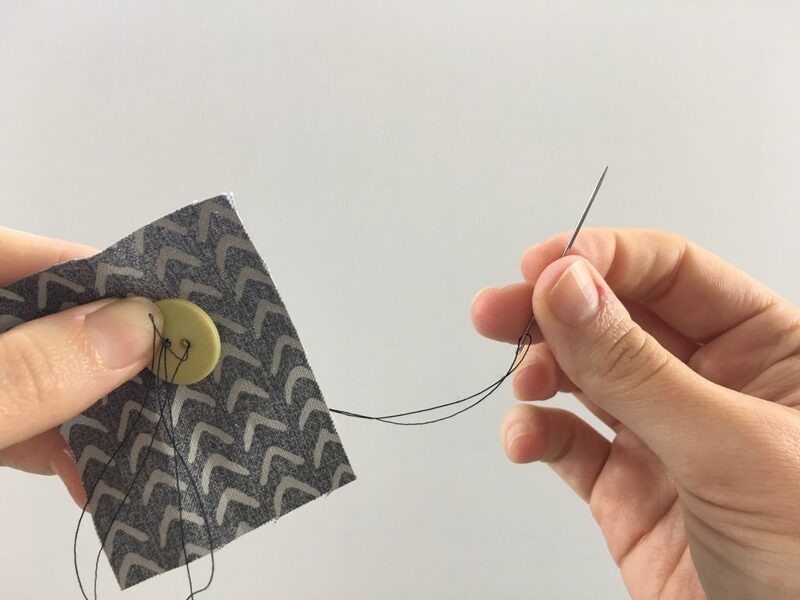 If you’re trying to match buttons already on a garment make as many stitches as you need for it to look similar to the other buttons. 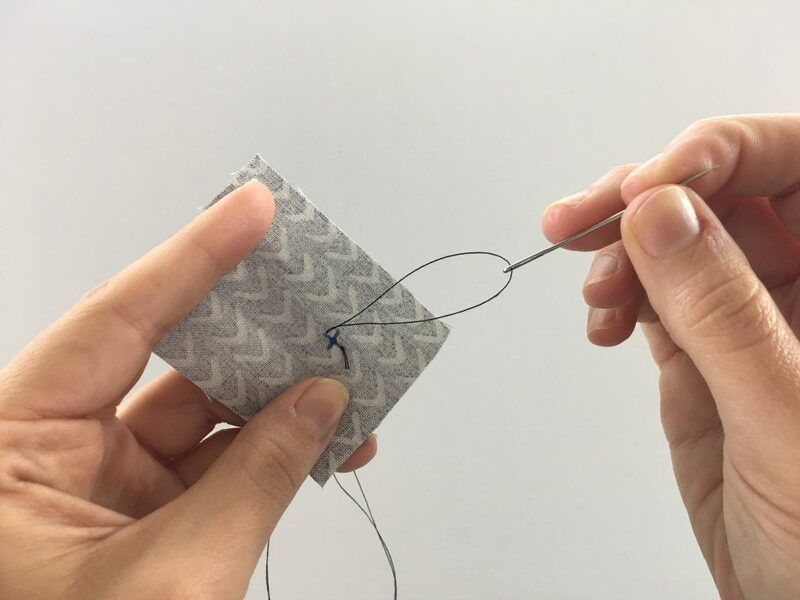 End at a complete stitch where your thread and needle are coming out the back of the fabric. Insert the needle through the back into an area behind the button. 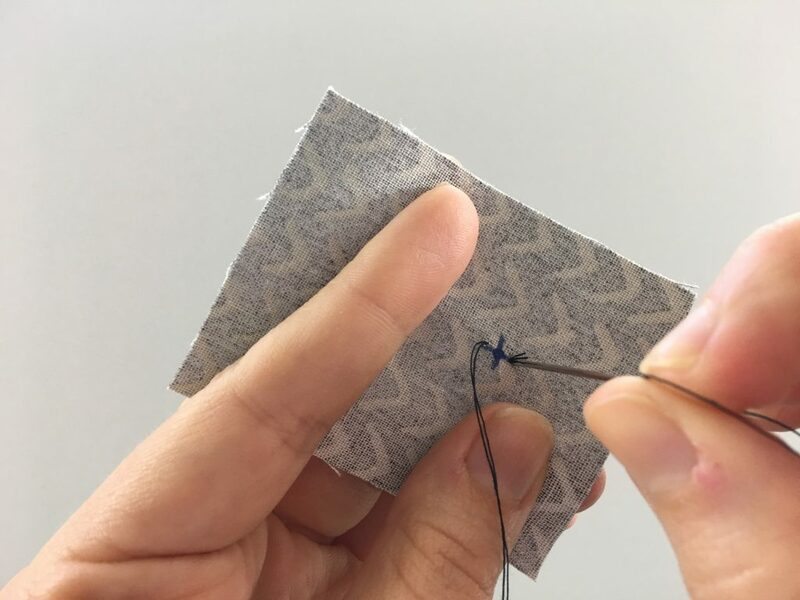 Bring the thread and needle all the way through the fabric without coming up through a button hole. 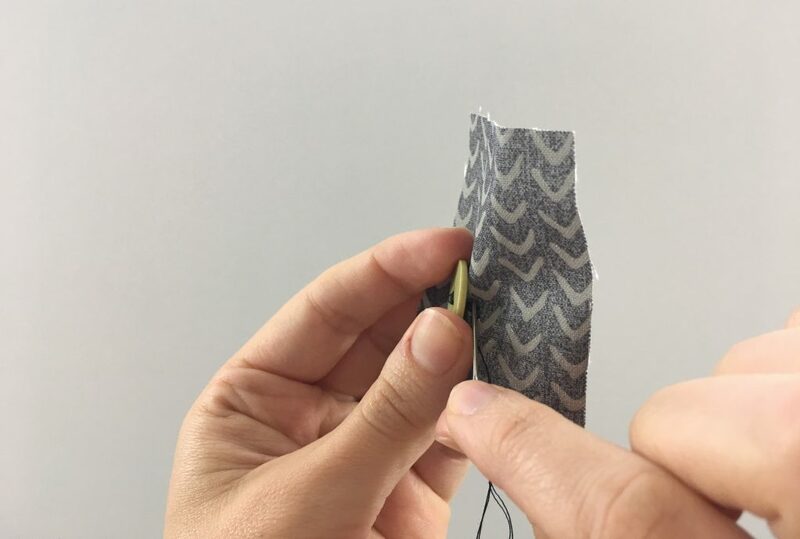 With your fingers, grab the thread and twist it around the threads that are connecting your button with the fabric. This is called a shank. This will make sure that your button still stays on even when it’s being pulled. Twist it around a few times to make it secure. I like to do five, just like my button hole stitches because it’s easy to remember. 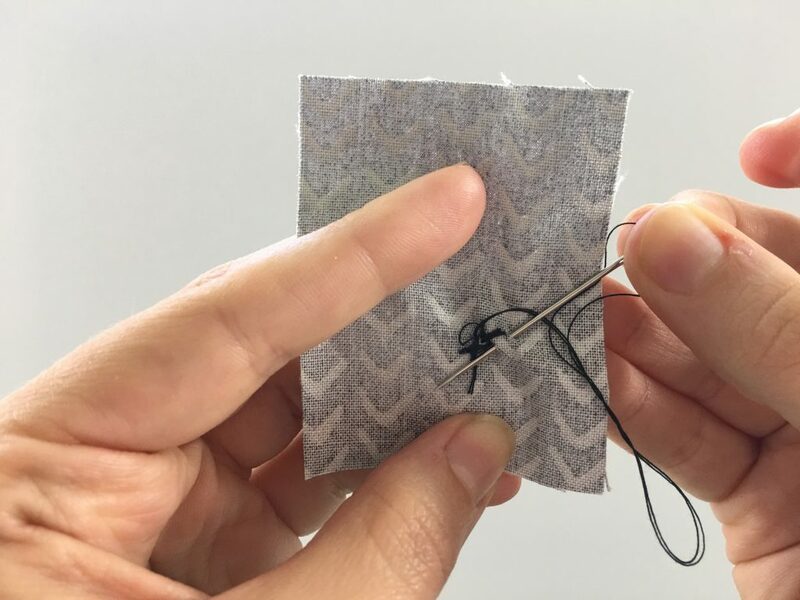 Insert the needle into the front side of the fabric under the button and bring it through so it’s no coming out of the back of the fabric. 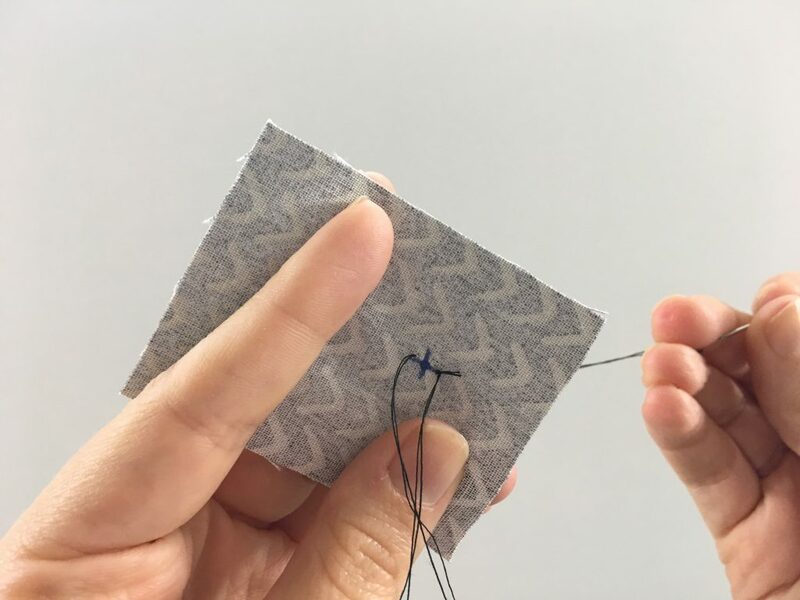 Insert the needle through a small piece of fabric, coming up with the needle a few centimeters away. 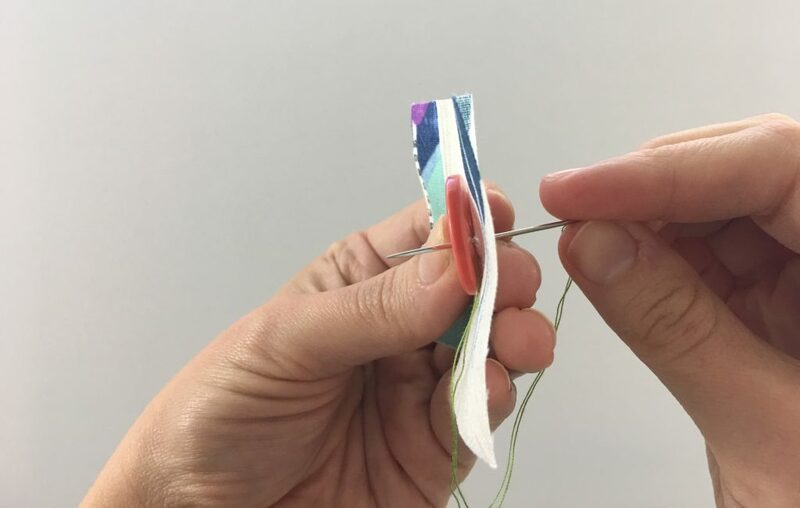 Pull the thread through part way and then insert the needle into the loop that has formed. 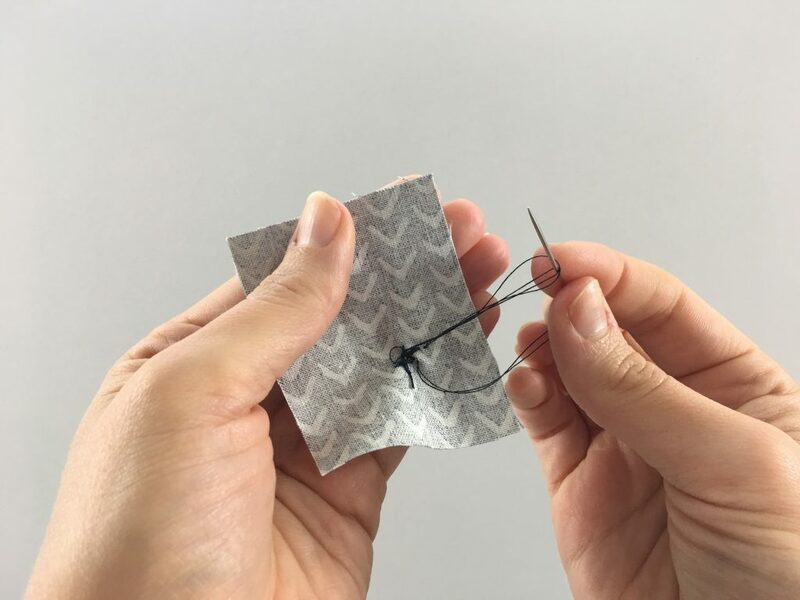 Pull the thread all the way through the loop to form a knot and trim the excess fabric. Congrats, you sewed on a button! The other type of flat button has four holes. 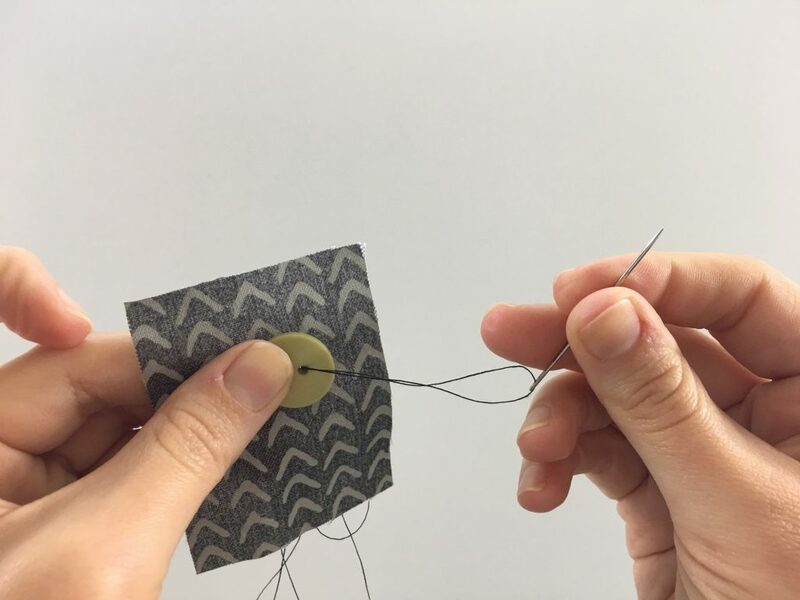 These are really similar to sewing on a two hole flat button but you have a few options on how you can make the front of the button look. 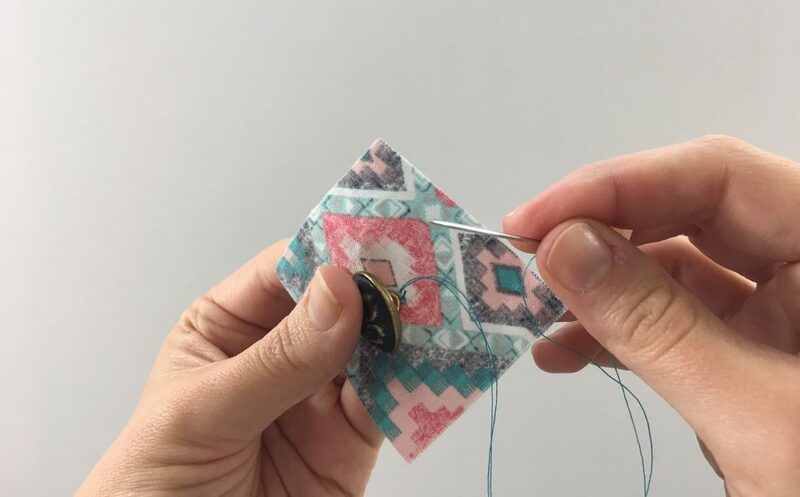 You can attach a four hole button a few different ways, back and forth horizontally, back and forth vertically, or in an X shape. I suggest matching any other buttons if you have any that are still attached. If not, just pick the design you like best. 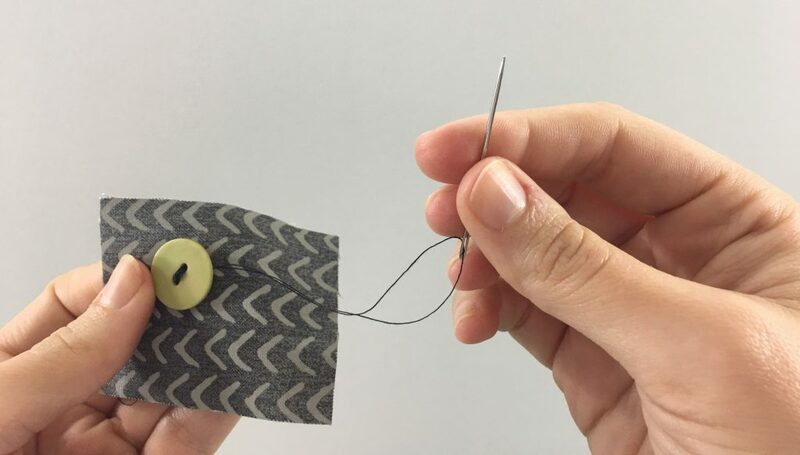 Follow Steps 1-10 above, on How to Sew a Button With Two Holes to secure the thread to the fabric to prepare to attach the button. 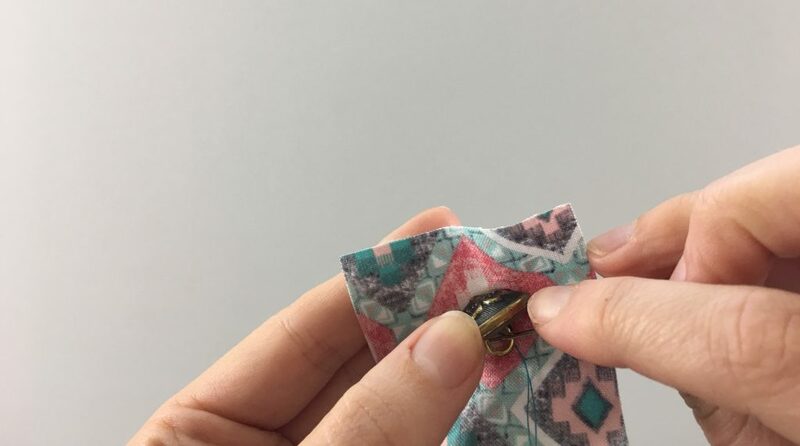 Place your button on the front side of the fabric, where you’d like to attach the button. Insert the needle from behind the fabric and go through the fabric and the bottom right button hole. This is how you make an X design with your thread. Pull the thread all the way up and down into the upper left button hole. 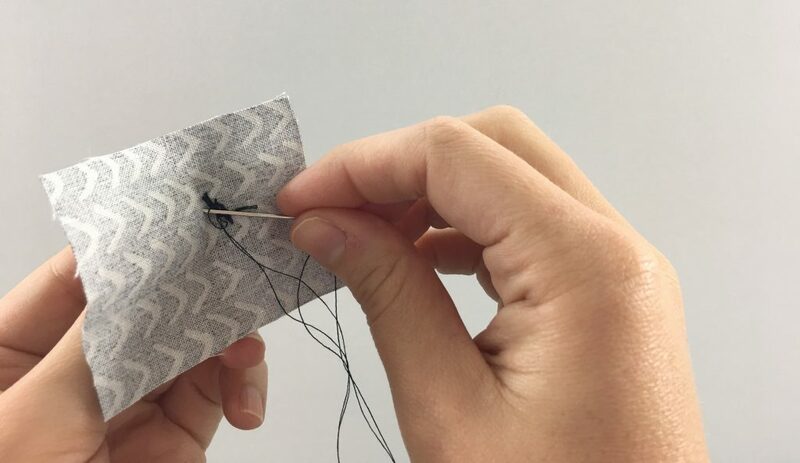 Come back up through the top right button hole and back down into the bottom left button hole to make an X with your thread. Continue making X’s using the directions above. 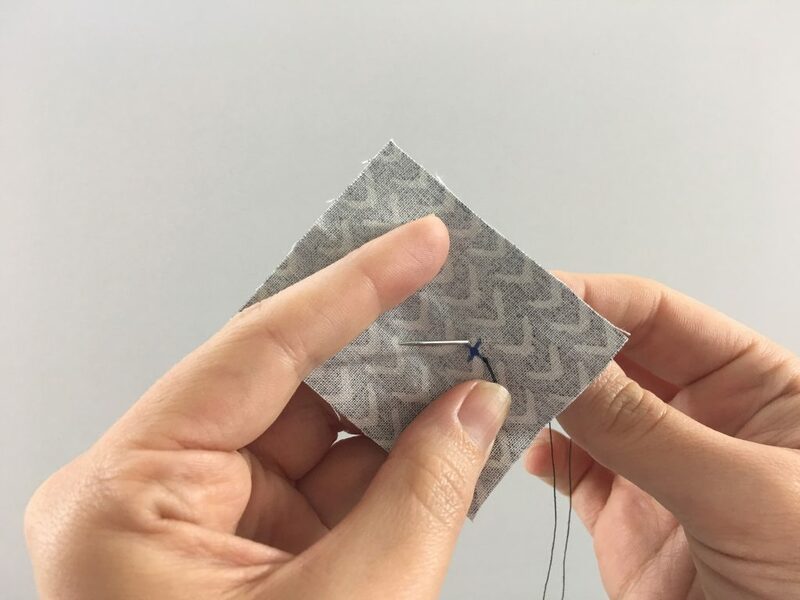 You can do this as many times as you want, I like to make 5 X’s on top of each other unless I’m attaching it to a garment that already has buttons, and then I’ll match the thread thickness they have. 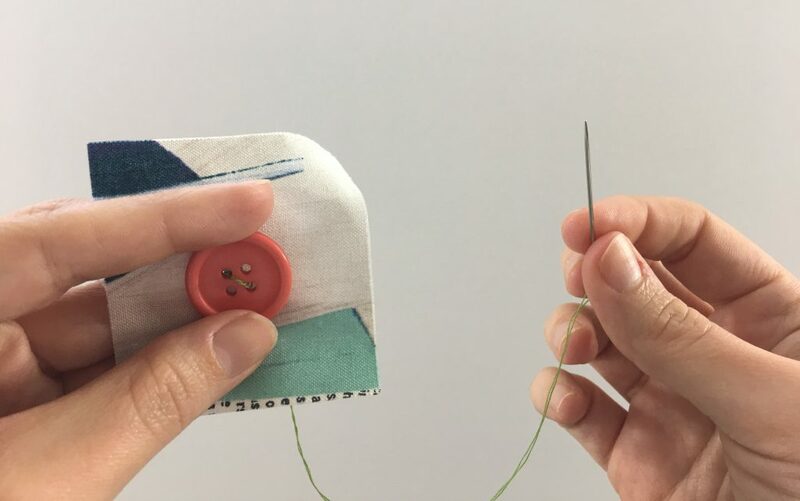 Follow Steps 17-25 above, on How to Sew a Button With Two Holes to make the shank and secure your thread. Congrats, you’ve sewed on a four-hole flat button. Some buttons already have a shank on them, and these are called shank buttons. They’re not as common as flat buttons they are very easy to sew on. 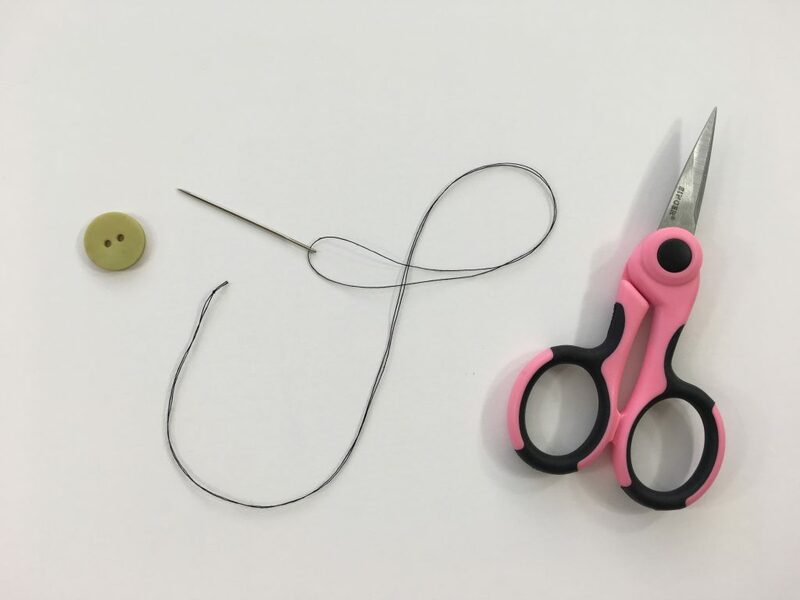 Follow Steps 1-10 on the top of the page in the section How to Sew a Button With Two Holes to secure your thread to your fabric. You’ll want to make sure that your X is small this time, since the shank button won’t cover up as much space as the flat button did. 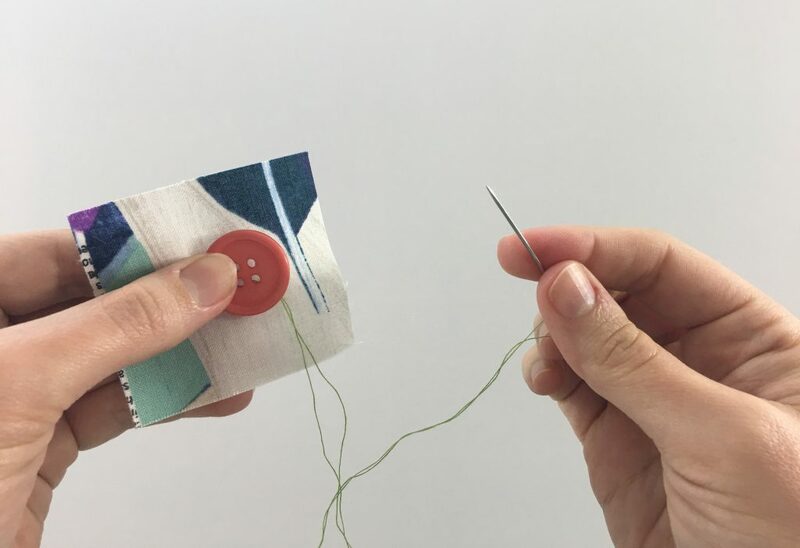 Bring the needle up through the bottom to the top of your fabric and hold your button where you’d like to attach it. 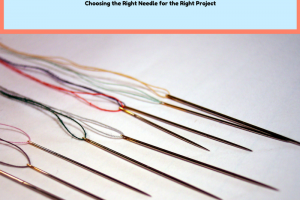 Insert your needle through the loop, called the shank, and take it through to the back. 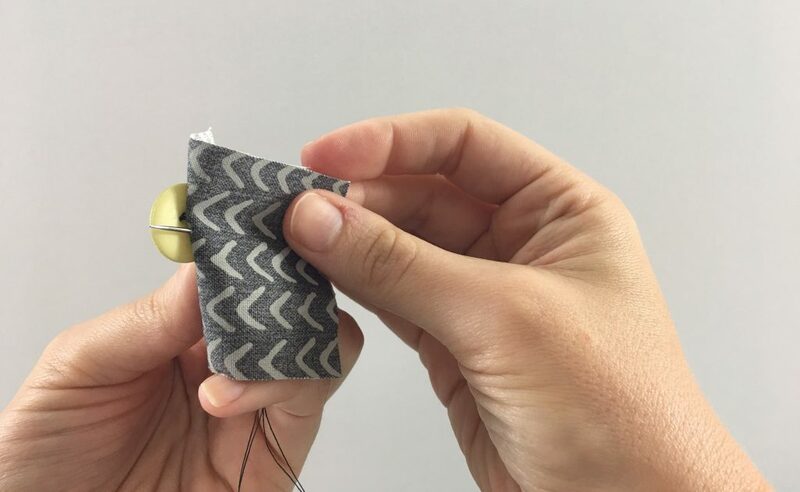 You’ll now have a thread connecting your button to your fabric. You’ll need to pull this tight and keep some pressure on it as you continue to secure it. 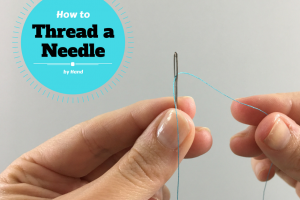 You can continue to attach the shank in the same way or flip it over to the back and take your needle through the shank a few times. 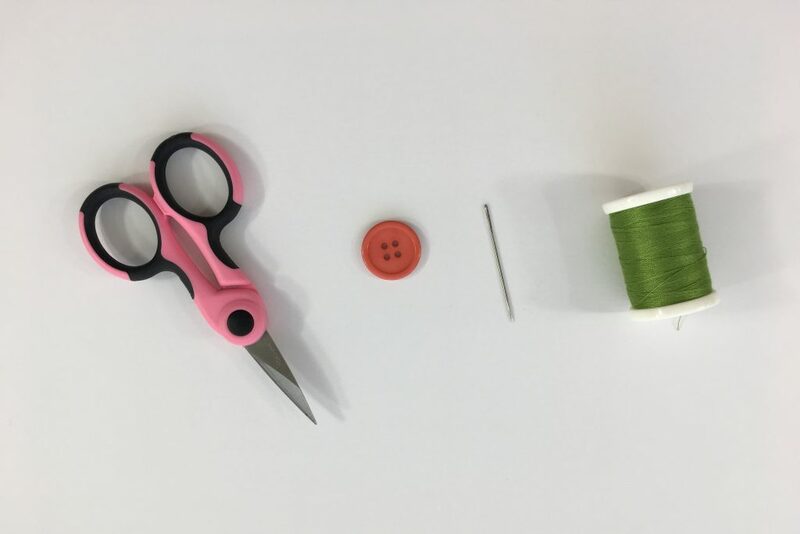 Follow Steps 22-25 in How to Sew a Button With a Flat Back to secure your thread. There’s no reason to make a shank like we did with the flat buttons because these types of buttons already have shapes. Congrats, you’ve sewed on a shank button! Functional buttons are buttons that serve a purpose. They act as a closure to a piece of clothing or a bag. Since these buttons will be pulled and pushed they need to be made extra secure with a shank. Decorative buttons don’t act like closures, they are just a decorative accent. You can skip adding a shank to these buttons since there won’t be any stress placed on them.